I was just wondering whether anybody has received their email about applying for their uni card and sending a photo etc. I was just curious as, I'm not sure about anybody else, but I start in less than a week and it just seems rather short notice. Do you need an NUS card for a student discount? NUS Extra card - worth it? It will almost definitely have gone to your spam inbox, as all correspondance from the University and accommodation inevitably does. If you can add their domain to your not spam list, do, but they'll contact you at your uni e-mail from when you start anyway. ID card info was sent out a good while ago so your email provider will probably have automatically deleted it after 2 weeks or so - as far as I'm aware though you can submit your photo when you arrive (they know the problem exists 'cause it's happened for years) but it might delay you getting a card for a few days which is a bit of a bummer, unless they do it while you wait now. if you log onto the portal you can upload it from there. Does anyone know when we get our Uni cards? It can be helpful if we got them as soon as we arrived..
You can upload your photo via the applicant portal. I picked mine up today, but then I'm based in Derby and we've just started. I should think you'll get them when you start (as long as you've uploaded your photo in plenty of time). yeah, and im a nottingham GEM student. the course is based in derby for the first 18 months. Thanks guys for all you're replies, I think it must have been deleted by accident :|. To log on do you use your personal email address and is the password the same as that to get on to webct?? I'm rather confused as to what info it is you have to put it - I've sent the uni an email but haven't got anything back yet so just trying to do as much as I can atm. The username for students is your email address as recorded in the University's student record system. This will be your personal email address that you supplied during your application. If you did not provide an email address the you should use your surname. The password is your student id. (7 digit number, normally starting with a 2 or 4). Just any portrait photo of you? 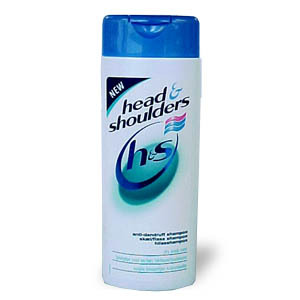 Yeah I just took a picture of my head and shoulders and sent that in. Should I get a Unidays card or a NUS card? University won't stamp my 16+ card even though I'm eligible? 1 Year At Uni - 3 Year NUS Card, Is It Possible?